The Meizu Pro 7/Pro 7 Plus has been launched officially. 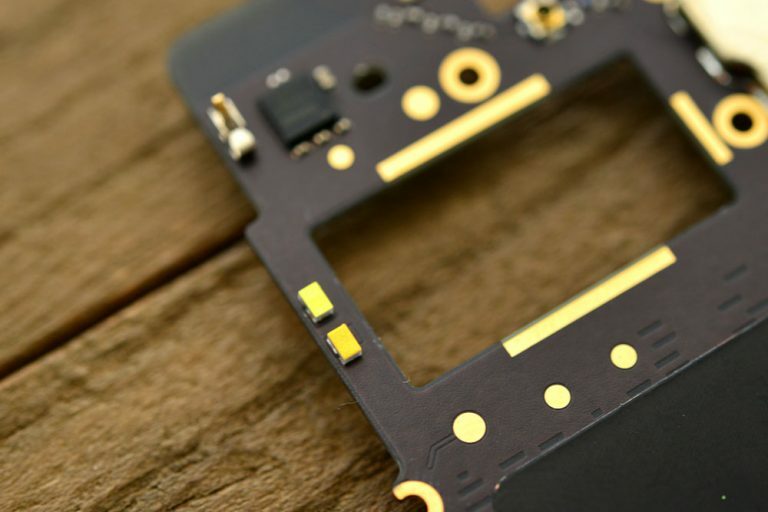 The phones have brought all-new rear screen design and all-new interactive mode on the back. 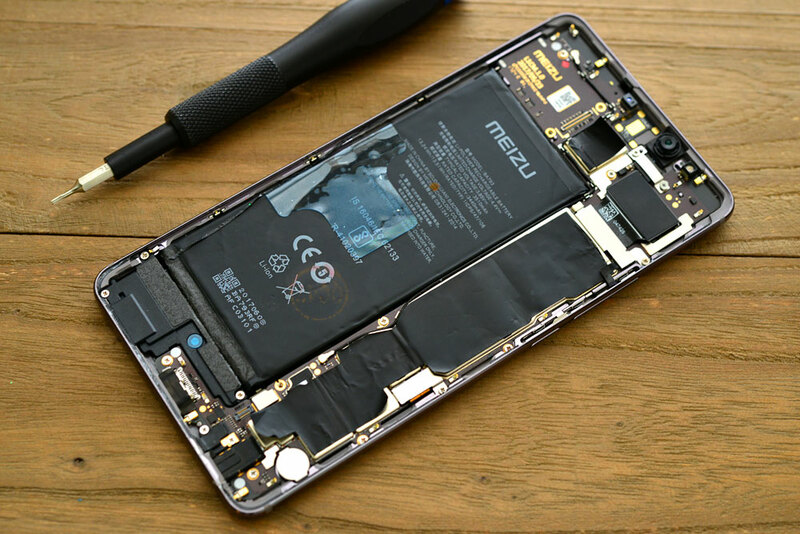 Adding the rear screen to the Meizu Pro 7/Pro 7 Plus requires the phone to hold two screens (in the meantime, keeping the phone body’s thin thickness) and a large battery. How to achieve this? 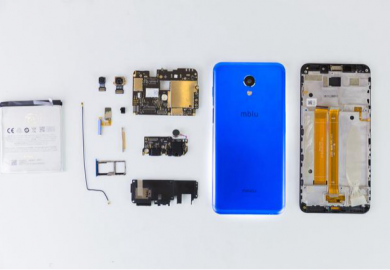 Today, we will disassemble the Meizu Pro 7 Plus to explore its internal structure. 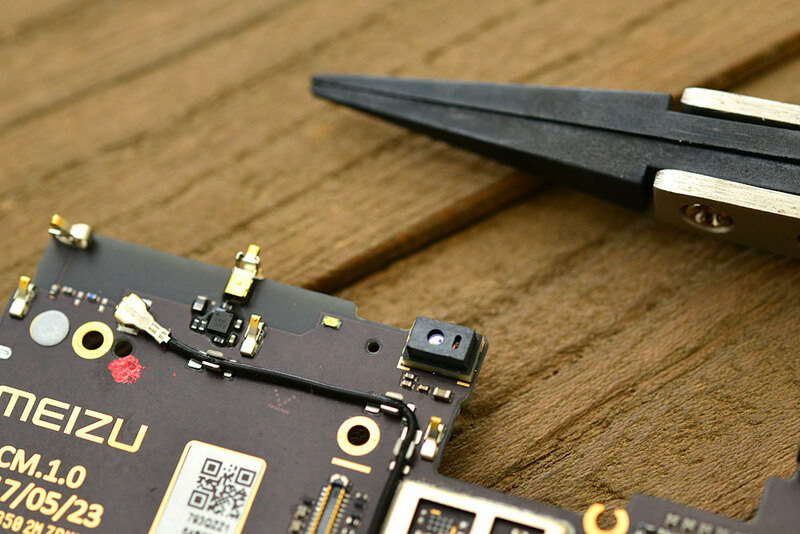 The teardown of the Meizu Pro 7 Plus first requires removing the two screws which are beside USB port. 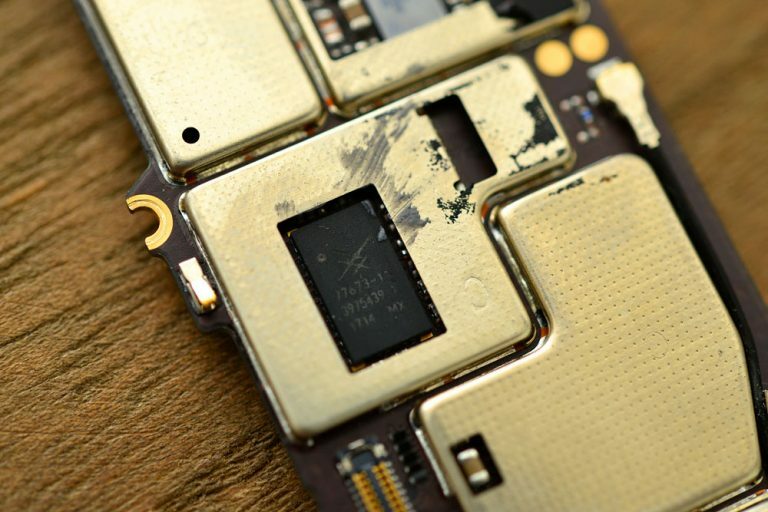 The screw, which is the same screw that iPhone adopts, has the screw specification that most phones currently use. After removing the screws, we can disconnect the phones’ screen with a buckle. The phone is connected to the fuselage through a clip. Taking the main screen apart, we can see that the screen is connected to the motherboard through a ribbon wire. The main screen is glued to the middle bezel. 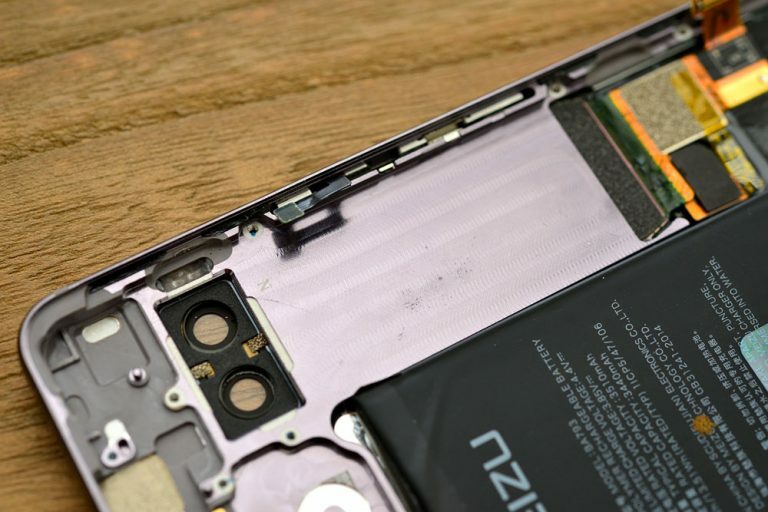 The motherboard is directly installed on the phone’s back case, which is a different design compared with Meizu’s previous phone’s design that motherboard is installed in the middle bezel. Such design is to consider the installation of the rear screen. The phone features a main Super AMOLED screen which has got good control. 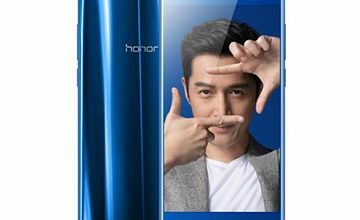 Besides, the rear screen also adopts the AMOLED screen. 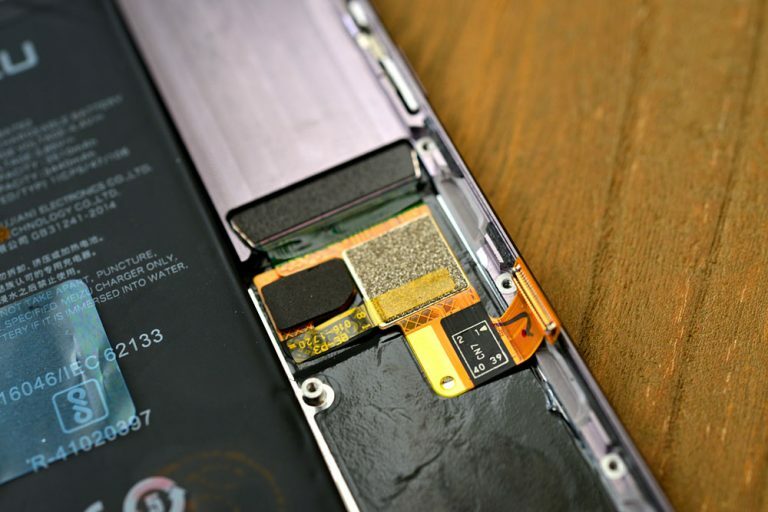 Although the phone has installed two screens, the phone remains thin. 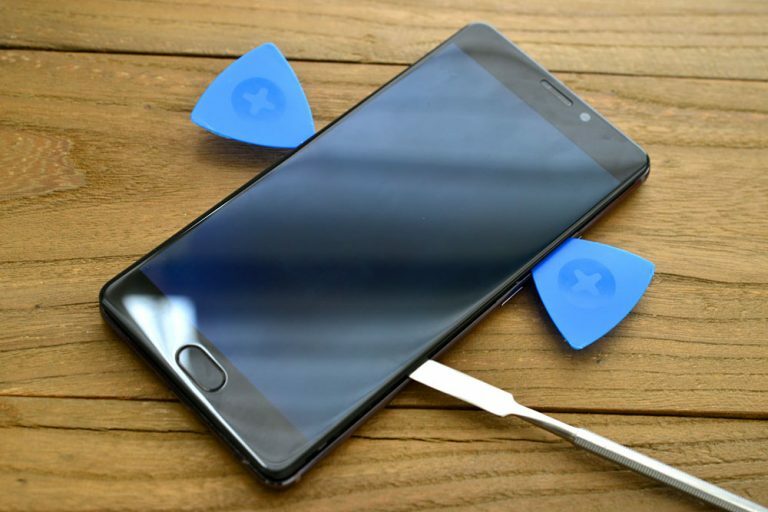 The phone’s front plate has installed loudspeaker, and it has saved ports for the front camera, infrared sensors and distance sensors. It adopts L-shaped motherboard instead of three-stage design because the phone’s rear screen has occupied part of the battery’s space. 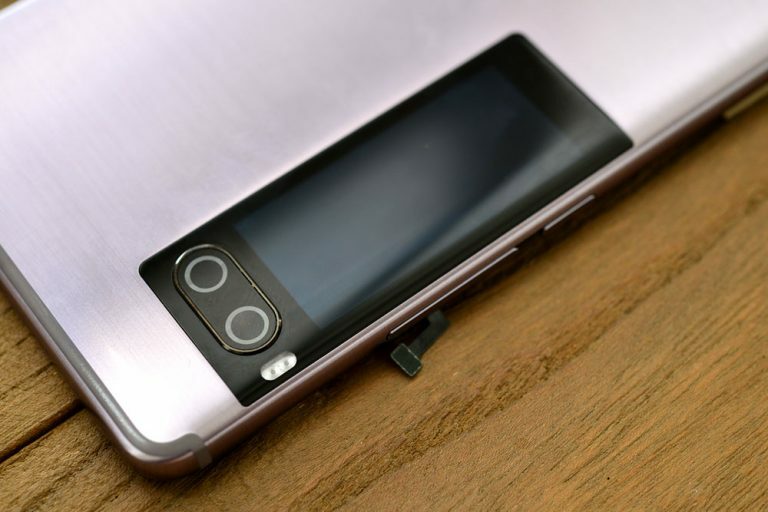 If the phone adopts three-stage design, its design and manufacturing costs will be greatly improved. We can notice that Meizu’s logo is on PCB, where shows date and PCB’s version The Meizu Pro 7 Plus’ PCB is made by a large-scale PCB manufacturer who has made many flagship products. 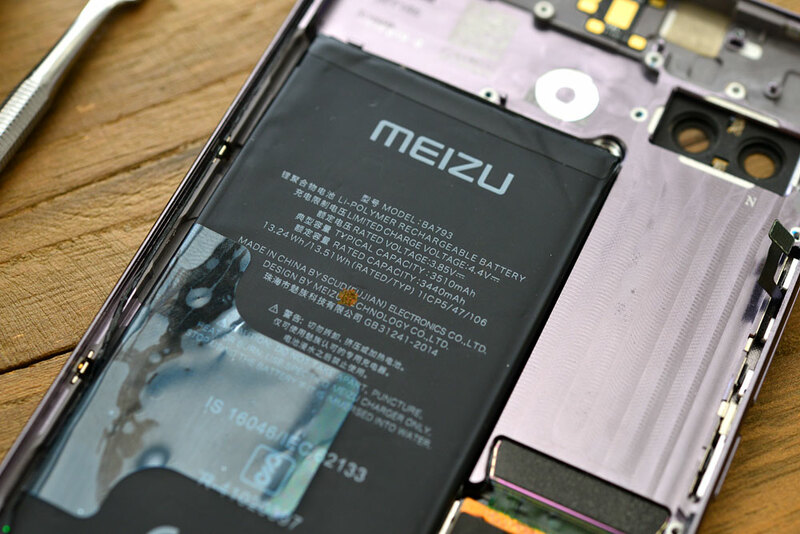 PCB’s shield case of the Meizu Pro 7 Plus’s is covered by black graphite conductive paste. Uncover the paste, and the chip will be spotted. 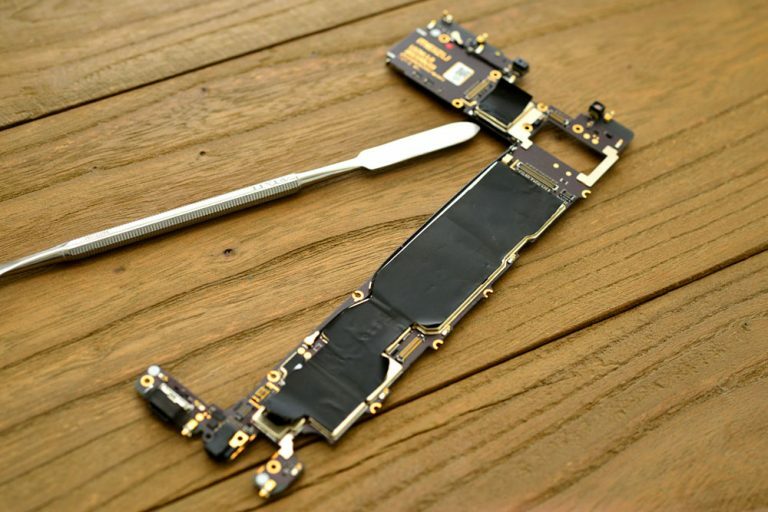 The graphite conductive paste supports not only heat dissipation but also shielding action. PCB’s shielding case on the Pro 7 Plus is covered by graphite heat-conducting sticker. 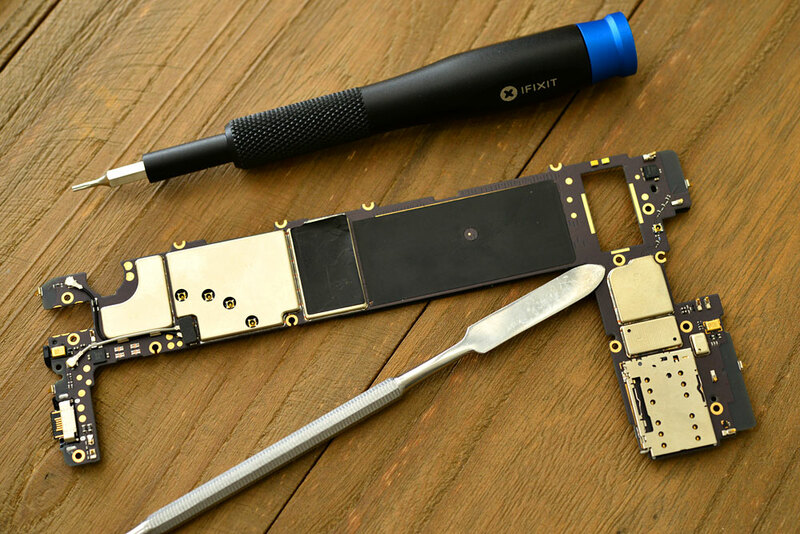 Removing PCB and the back case of the phone can be seen. The phone sports a 3,500mAh battery and adopts mCharge 4.0 QC technology which supports 5V 5A to bring faster-charging speed. 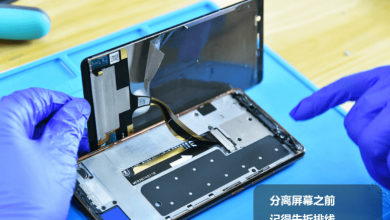 The Meizu Pro 7 Plus adopts CNC process on its back case to install the rear screen. 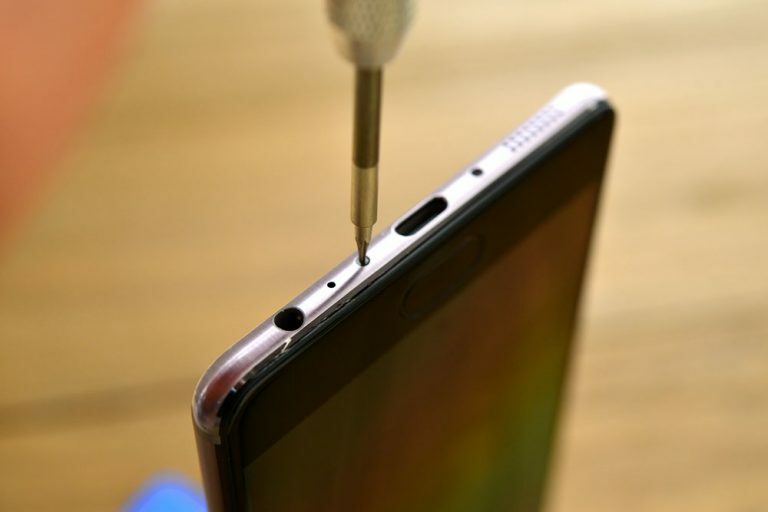 It uses the mosaic technique to install rear screen in the back case leaving not slot, which has a very high installation requirement. The rear screen is totally embedded into the back case, and it can’t be taken out. The whole screen’s layout design is quite sophisticated which requires the high-level process. Meizu has invested a lot in rear screen’s design. Uncover PCB’s graphite heat-conducting film and a variety of chips on the motherboard can be spotted. 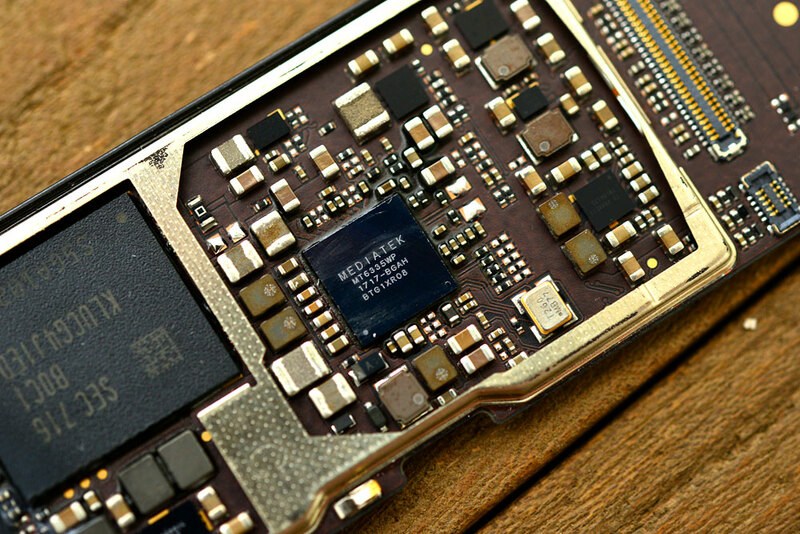 The Meizu Pro 7 Plus’ main chips are placed on the PCB’s front. Some chips have heat-conducting post which can effectively take the heat generated by the chip away. 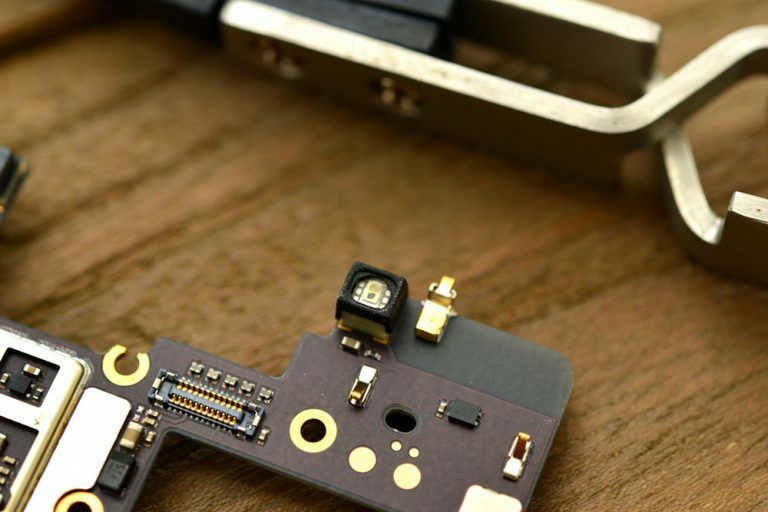 PCB’s infrared sensor is used to sense the distance between the phone and the user’s face while the user is answering the phone. The light sensor is on the other side. It is used to control the screen’s brightness by sensing the light. 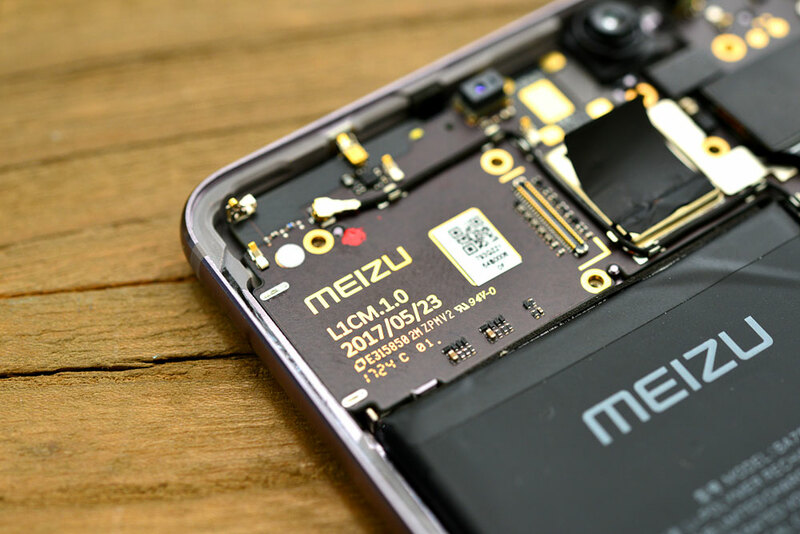 The Meizu Pro 7 Plus uses LPDDR4X storage and comes with 6GB of RAM, its memory chip and its CPU adopts the double-layer seal to save PCB’s space. The Meizu Pro 7 Plus is powered by MediaTek’s deca-core Helio X30 processor. 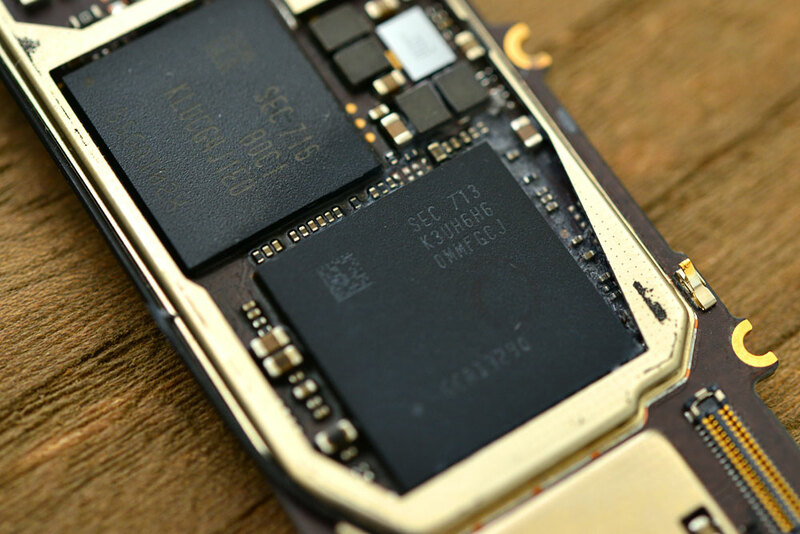 The processor has two ARM Cortex-A73 cores, four ARM Cortex-A53 cores, and four ARM Cortex-A35 cores. 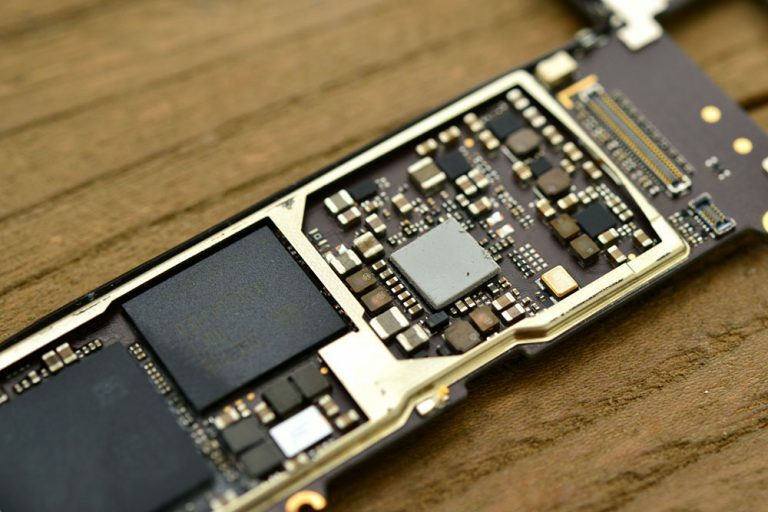 It uses 10nm process which has good performance and is lower power consumption. The Meizu Pro 7 Plus uses Samsung’s UFS storage chip and comes with 64GB of ROM. 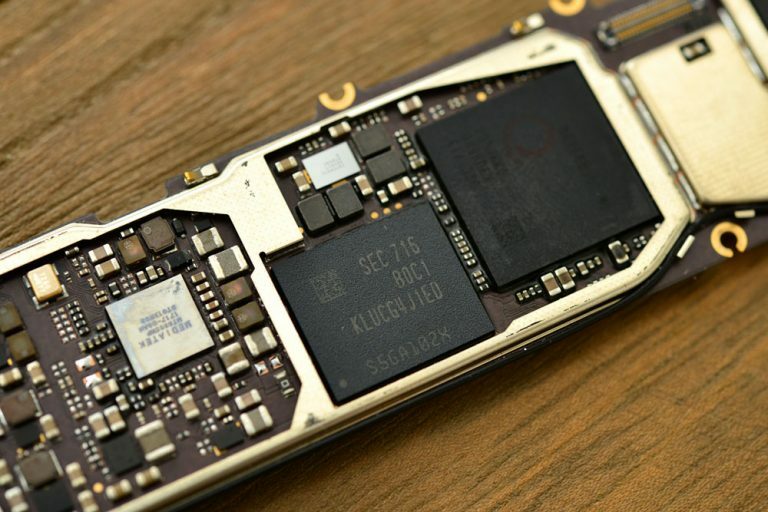 UFS storage chip brings faster read-write speed. SKYWORKS 77673, which is all networks’ signal amplifier, mainly is used to send and receive signal. MT6336WP, which is a power management chip, can work together with Helio X30. Double color LED is on PCB’s back. The Meizu Pro 7 Plus comes with a 12MP (colorful) + 12MP (black + white) dual camera setup. 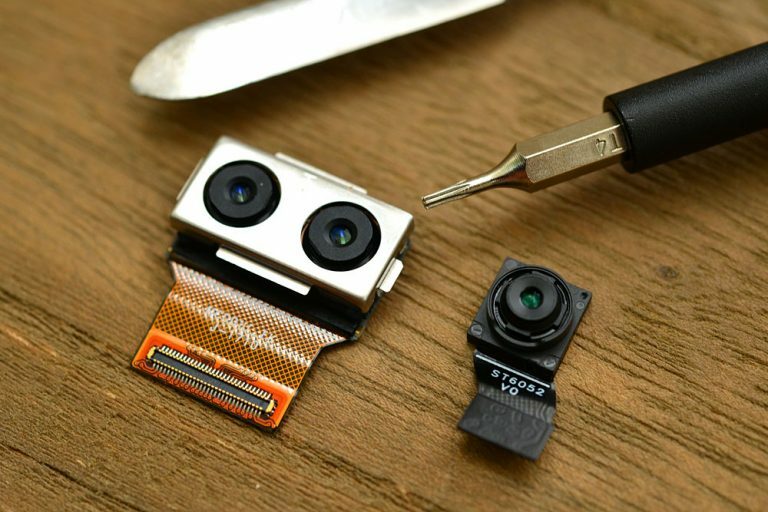 The cameras are sealed together to avoid image formation problem during the installation. Besides, the Meizu Pro 7 Plus features a 16MP front camera. 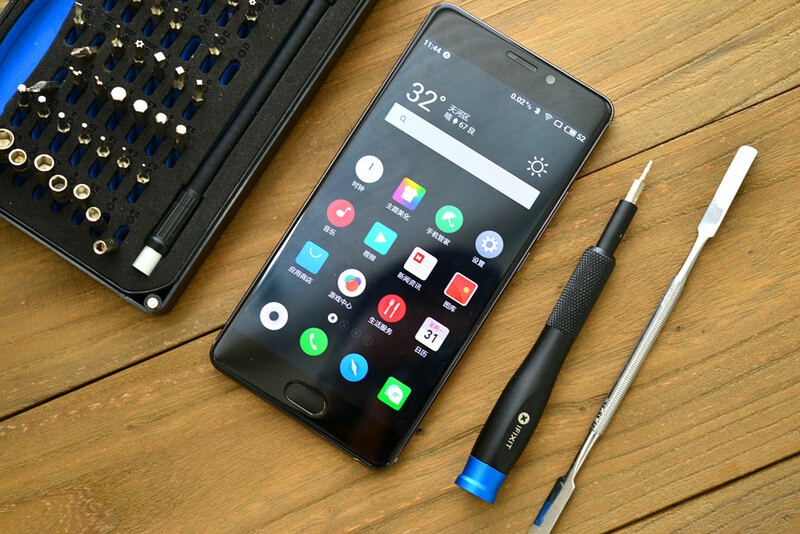 The Meizu Pro 7 Plus has adopted all-new design on its internal structure to add rear screen. It has used L-shaped PCB and optimized the design on the back case, which is to make the installation of the rear screen more sophisticated. The Meizu Pro 7 Plus adopts AMOLED screen both for its main screen and rear screen to have a good control on the phone’s thickness. It adopts high-quality materials and components. 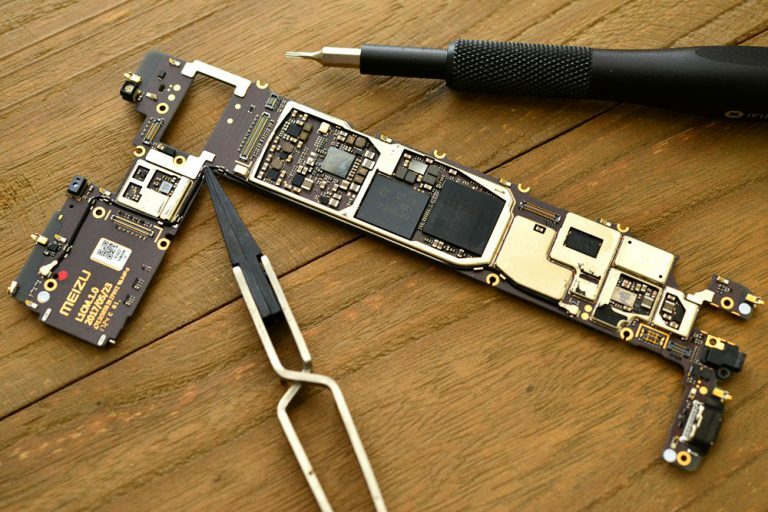 The teardown process is more difficult compared to Meizu previous phones because it has adopted more sophisticated process.